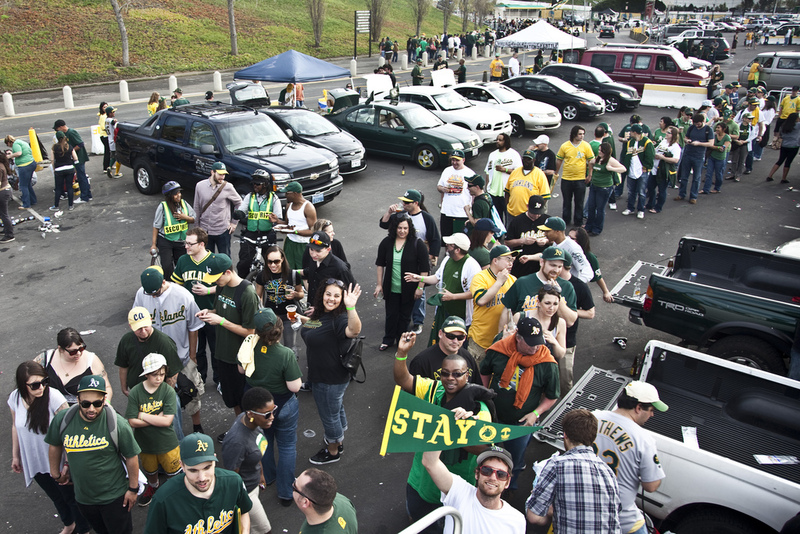 1 p.m. to 6:45 p.m.
“Moneyball” isn’t the only chance you have to watch the A’s on the silver screen. Watch A’s vs. Astros on a big movie screen at The New Parkway, which is also a restaurant that serves food and drinks (yes, they have beer) in the theater while you watch the game. All A’s fans are invited to all of these festivities. See you there! So, Wolff’s statement — we are left to guess — was intended to let Selig and fellow MLB owners know that he has no intention of encouraging a city of San Jose lawsuit against the Giants or MLB. We think that’s what he meant, anyway. Because he had an opportunity to explicitly say, “Sam Liccardo. Bad. Lawsuit. Really bad.” But Wolff didn’t explicity say that. Instead, he chose to keep it vague, letting the implied threat hang in the air — which couldn’t have played well in the Commissioner’s office. The whole Liccardo/Wolff dance is probably the second worst version of Good Cop/Bad Cop we’ve ever seen. Meanwhile, A’s fans are made to suffer, unnecessarily. After all, this is March, right in the thick of the blind optimism of Spring Training. 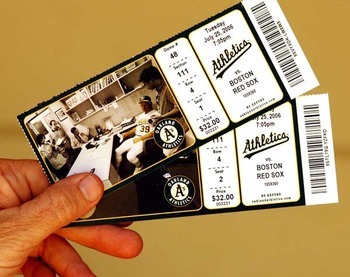 On Twitter, we’ve seen tons of A’s fans excitedly say they can’t wait for their A’s season tickets to arrive in the mail. This should be the time that Wolff and the A’s are cashing in on that hopeful enthusiasm, turning optimism into profits by selling hope in the form of A’s game tickets. Instead, Wolff is selling the same tired whine about his stadium pipe dream. There is no doubt that Wolff’s constantly negative media drumbeat is depressing A’s attendance in Oakland at a time when it otherwise would be easy to boost it. Maybe someone should file a lawsuit about that.